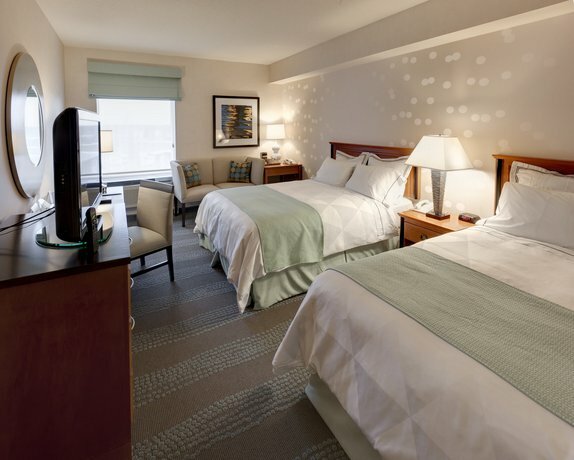 This hotel is located in walking distance of Niagara Falls attractions and restaurants. 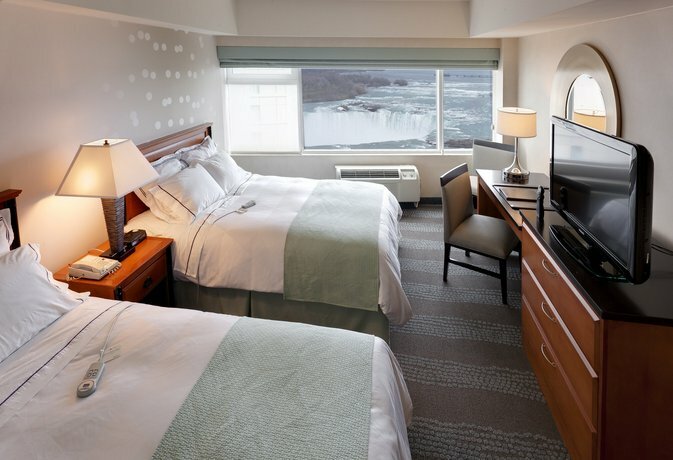 Some guest rooms offer beautiful views of the southern edge of the Canadian Horseshoe falls, along with the Niagara River which approaches the falls. 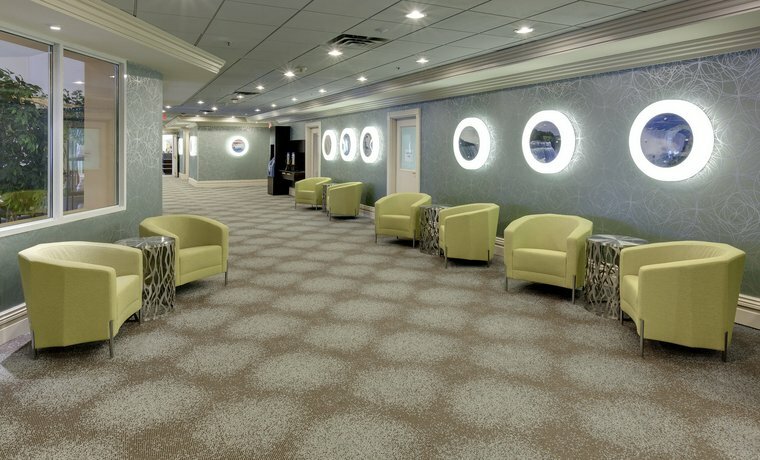 The smoke-free and pet-free hotel offers 232 rooms over 2 sections, one with 5 floors and one with 15 floors, all with elevator access. 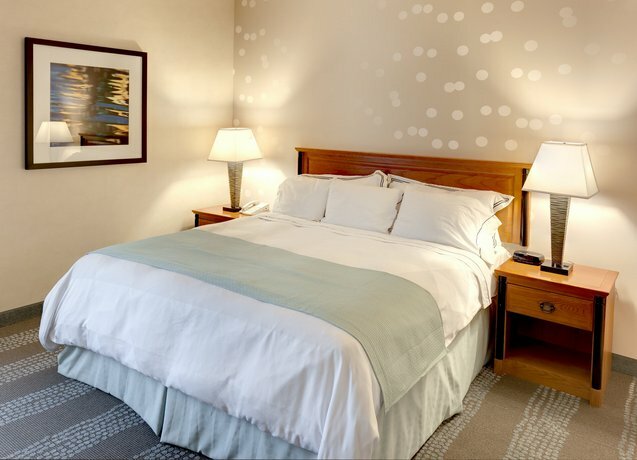 All rooms include free Wi-Fi, a 37 " flat screen TV, a coffeemaker, a desk, an iron and ironing board, a hair dryer and climate control. 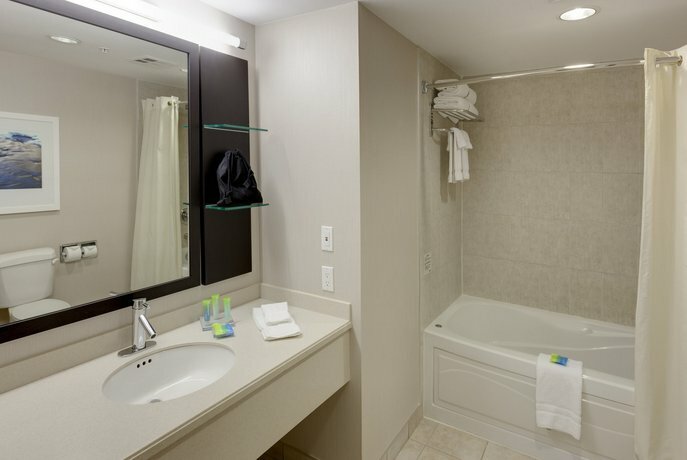 Some rooms include a sofabed, a separate bedroom, a sitting area, a mini-fridge, a microwave, a 1-person jetted tub and a 2-person hot tub. 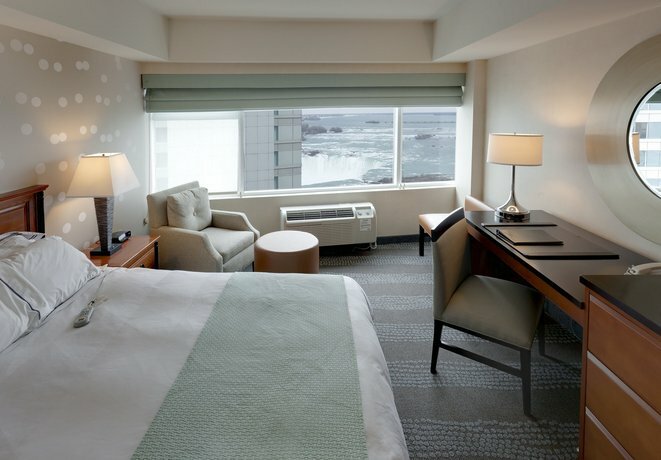 Some rooms on higher floors offer a city view, a river view or a falls view. 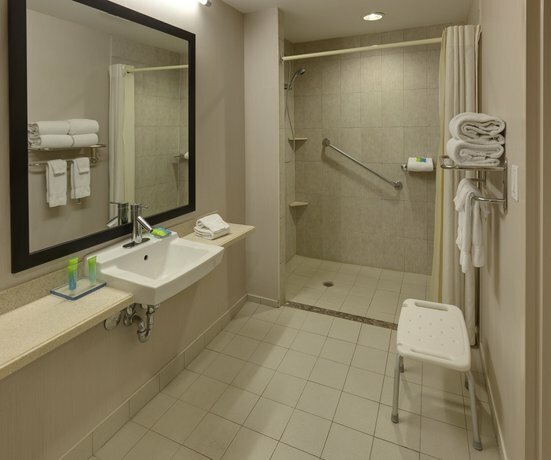 Accessible rooms are also available. Valet and self-parking are $20 + tax, per day with in-out privileges. The hotel charges a resort fee of 4% as well. 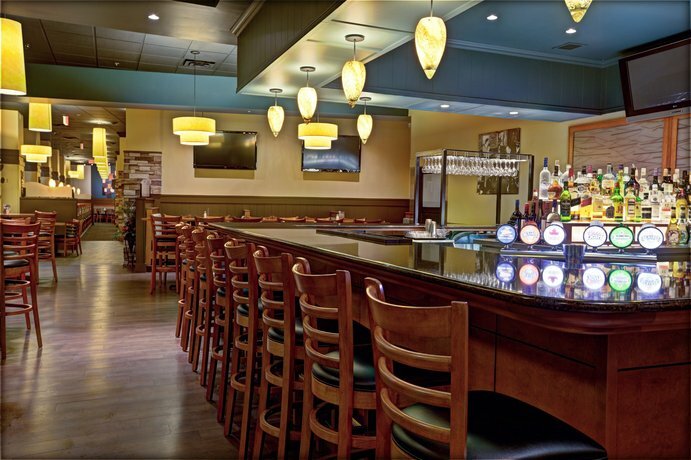 Restaurant on site: Tony Roma's Restaurant serves breakfast, lunch and dinner daily. 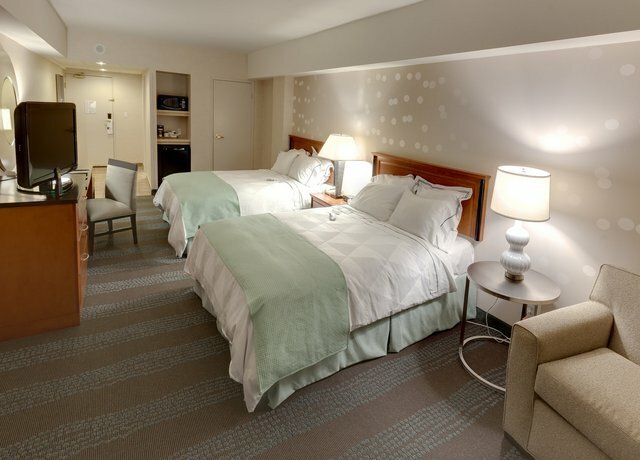 Room service is available from from 6:30 am to 10 pm. Off-site restaurant: Outback Steakhouse is next door to the hotel, a 1-minute walk, and is open daily for lunch and dinner. 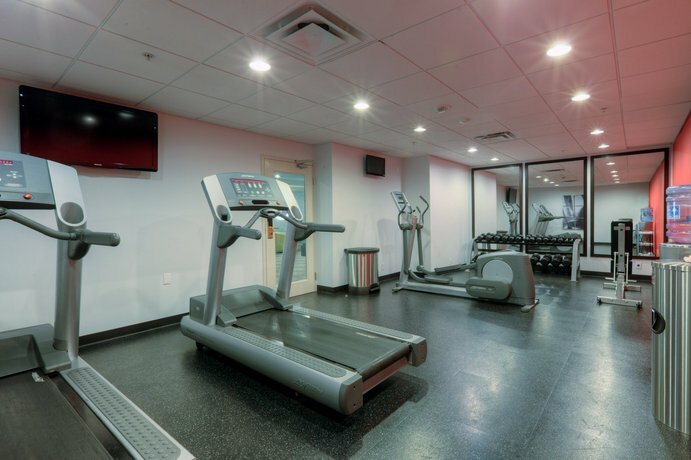 Hotel amenities include an indoor pool, a fitness centre, a 24-hour business centre, a gift shop, dry cleaning, seasonal concierge, an ATM, safety deposit boxes and meeting rooms. Many guests enjoyed their stay at this hotel. 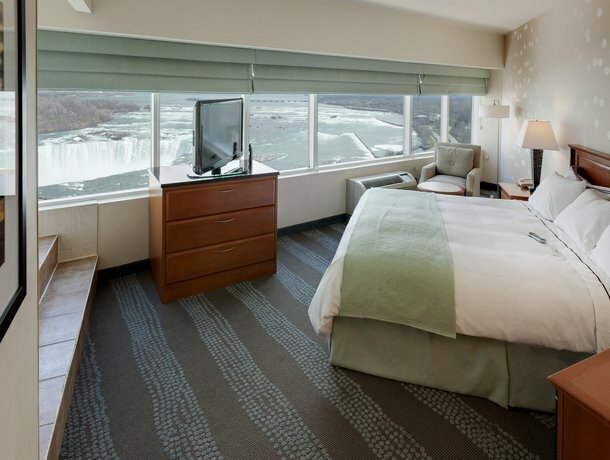 The excellent views of the Canadian Horseshoe falls were definitely a major part of guests' satisfaction with the hotel. 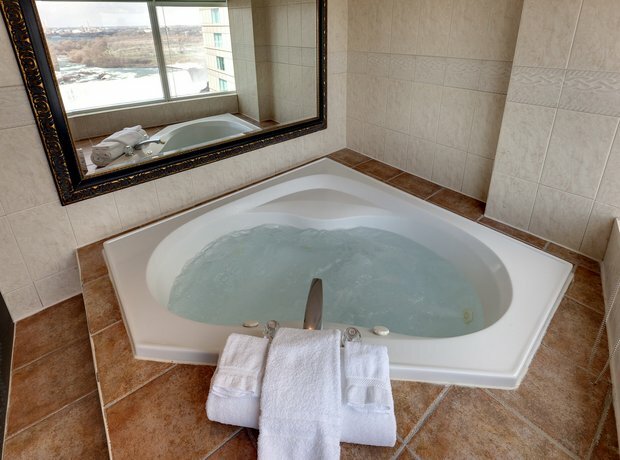 Guests described amazing views from their bedroom areas and even from the bathroom's or bedroom's double jacuzzi. Guests liked the location. It was central to Falls attractions, with restaurants and shopping located right outside the hotel. Guests often liked the staff. 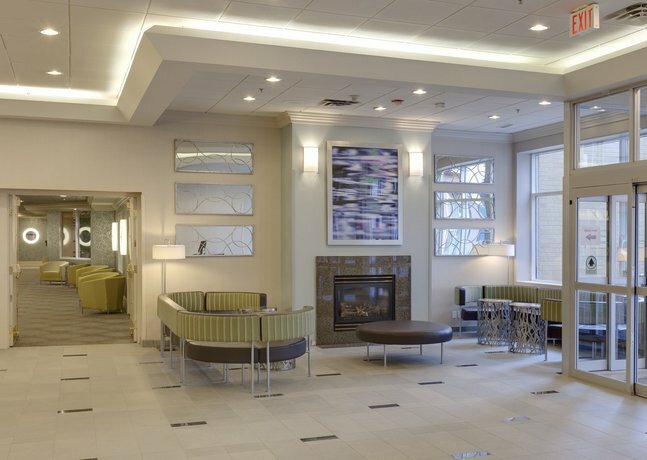 They were described as welcoming, friendly and accommodating. Guests were often pleased with the rooms. They were well equipped, clean and had comfortable beds. Some highlighted the blackout blinds that worked well and enjoyed the single jetted tubs or double jacuzzis. 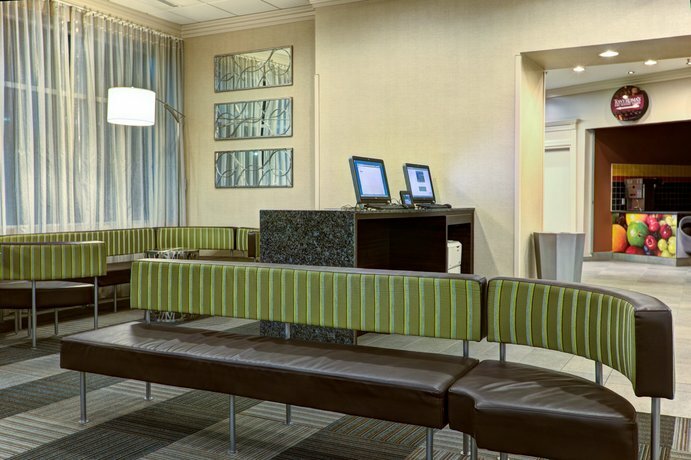 Although the hotel had mostly positive reviews, there were numerous complaints in guests reviews online. Fallsviews were not always good. 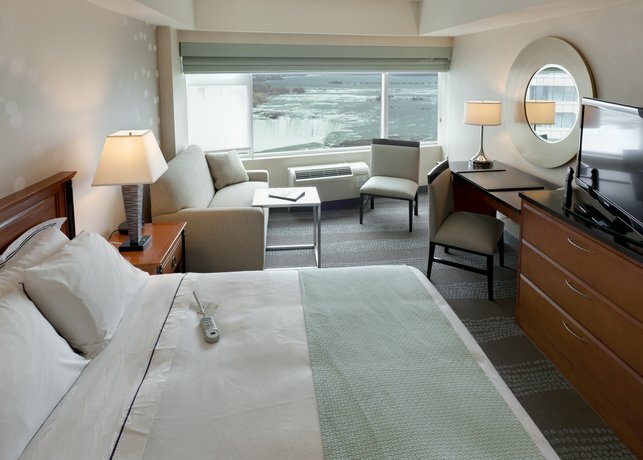 Many guests were disappointed in their fallsview room which were on lower floors. They were obstructed by the Marriott hotel to the left (north), and garbage dumpsters in front. 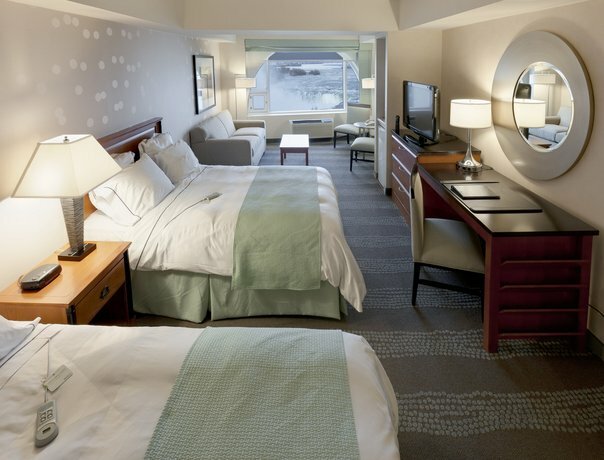 City view rooms on the lower floors were described as overlooking the parking lot. Some felt the hotel was old. Some guests claimed the hotel had an older section and a newer tower. 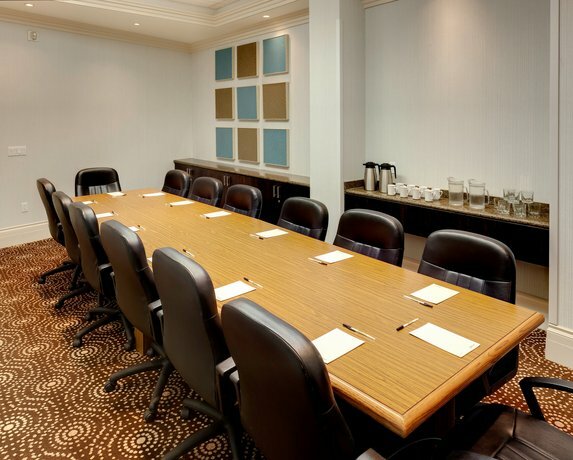 According to these guests the rooms were tired, damp with an old odour and in need of updates to decor and furniture. And on occasion, guests found the sleep number beds uncomfortable. Housekeeping missed the mark sometimes. 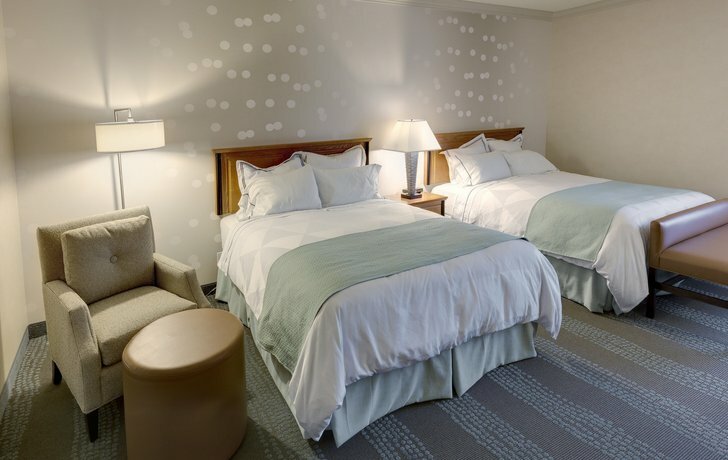 Occasionally guests were assigned a room that had not been serviced or was not cleaned to the standard expected. Guests complained of hair, odours, dust and stains. Better maintenance was needed according to some. 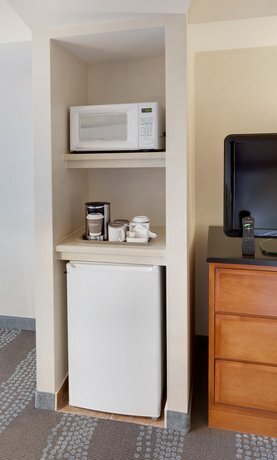 Guests also complained of broken, poor quality or non-functioning amenities such as: coffeemaker did not work, plugged up sink and bathtub, a foul-smelling bathtub, stained towels, bedding not very good/crumpled/torn/stained, no shelf in the shower, shower curtain torn and bathroom light fixture broken. Some complained of noise disturbance from: AC units, mini-fridges, hallways, sports teams, slamming doors and elevator sounds. Several guests complained of poor customer service. 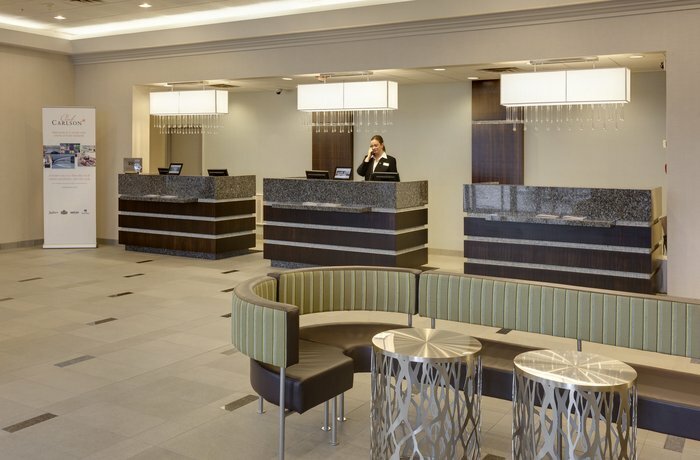 These guests found the front desk personnel rude, short and dismissive. 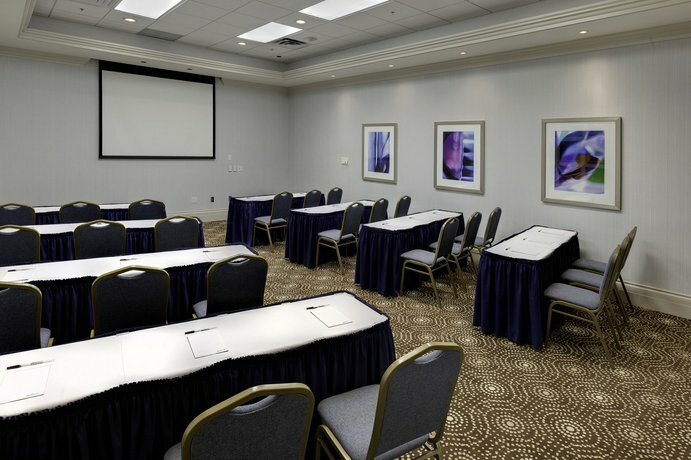 One guest reserved two rooms together to accommodate very young children with fallsviews and were assigned rooms on two separate floors without views. Another claimed to have been told that booking online with a third party will not guarantee the reservation or type of room booked. Tony Roma's was often described as expensive and mediocre. Some guests complained about the pool. Complaints included: pool was uninviting and seemed or was dirty, too shallow, and small with no hot tub available. Some recent guests found damage to their vehicle (a dent, a bumper scratched and a door handle broken) from the valet parking. Also some found that parking spots could be taken up by the adjacent restaurants' customers. 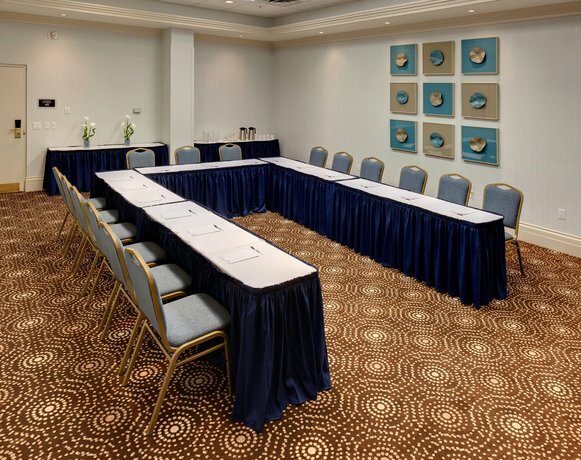 Some guests felt the hotel did not deliver value for the prices charged and were upset about a promotional or resort fee add-on of 4%. 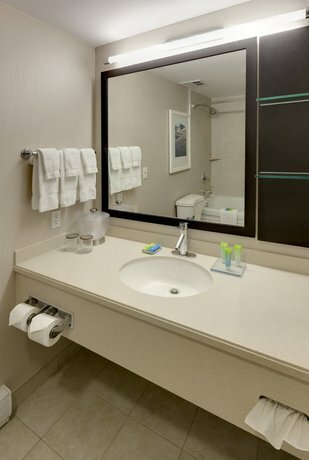 Expedia.ca guest reviews rated the hotel 4.2 out of 5 from 4,131 reviews. 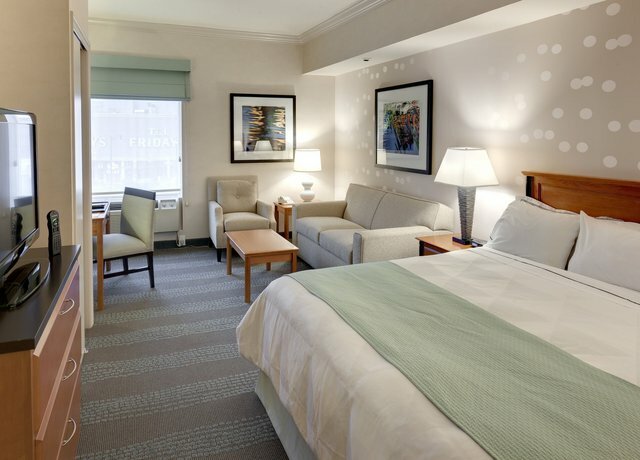 Booking.com guest reviews rated the hotel 8.4 out of 10 from 2,340 reviews. 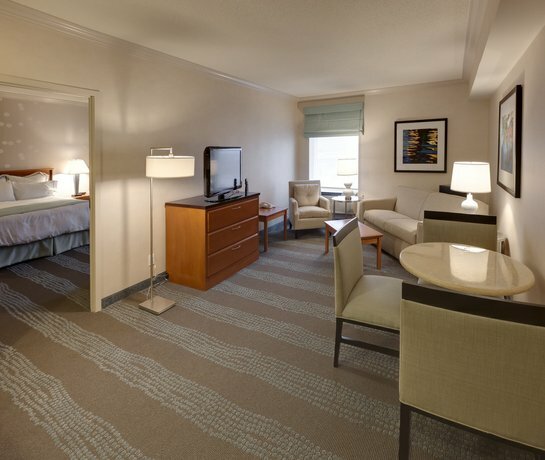 TripAdvisor.com guest reviews ranked the hotel #5 of 134 Niagara Falls hotels with an average rating of 4 out of 5 from 1,970 reviews. 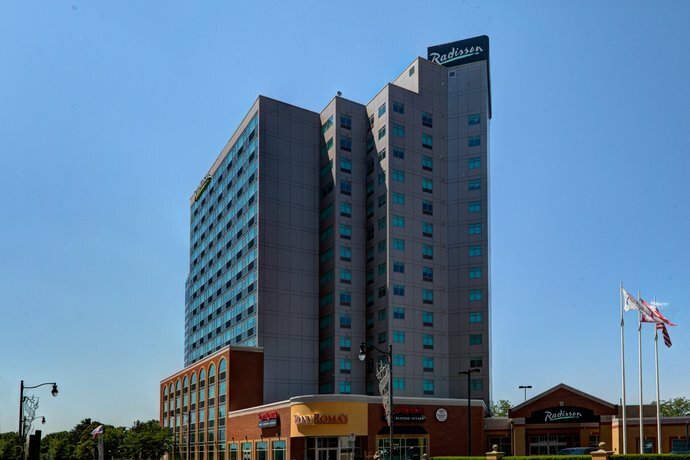 The average guest rating for Radisson Hotel & Suites Fallsview is 8.4 out of 10 based on 7744 reviews from past guests. 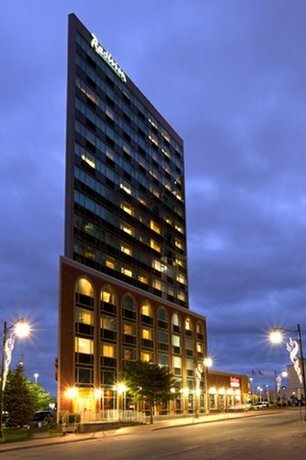 This average guest rating ranks Radisson Hotel & Suites Fallsview at #19 out of 93 hotels in Niagara Falls.